Killing bacteria? It’s easy now! 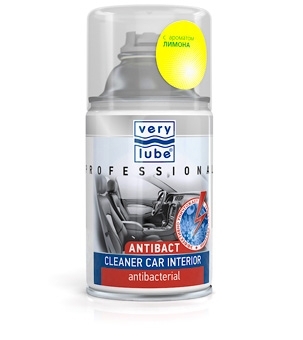 The unique Verylube Antibacterial Cleaner for Automobile Ventilation System is specially developed to fight bacteria. In a car, the bacteria settle in air ducts of the ventilation system, in cabin air filters, damped upholstery or carpeting. These are the bacterial colonies that are the cause for an unpleasant foul odor. Turn on the ventilation system of your car and leave the open aerosol can in the cabin for 15-20 minutes. While you are going about your business, the car has been completely deprived of bacteria! As a bonus the car owner receives a pleasant aroma in the cabin that will last for at least two weeks! The cleaner is produced with three exotic aromas: Tutti Frutti, Marrakech and Citron Menthe. The product is recommended not only to remove the odor already existing but once a half a year - to prevent bacterial outbreaks.